Gujarat has around 15% Scheduled Tribe Population. For the Up-gradation of livelihood in Tribal Areas, one of the components of the program is the development in basic infrastructure facilities such as Water Supply, Sewerage, Sanitation, Solid waste management etc in the Tribal Areas. In this regard, the GoG has designated GUDC as a Nodal Agency for the implementation of Infrastructure Facilities in the Towns identified under Tribal Sub Plan, vide UD & UHD order no. TSP/102007/1607/dh dated 06/11/07. Initial Study was done through CEPT at regional as well as town level. The Identified Towns (18 nos.) are : - Dahod, Devgadhbaria, Zalod, Rajpipla, Santrampur, Khedbrahma, Bardoli, Mandvi, Songadh, Vyara, Chhotaudaipur, Dharampur, Pardi, Umargam, Tarsadi, Shahera, Gandevi, and Vijalpor. 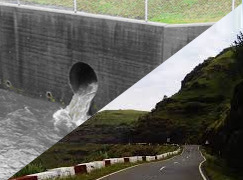 Project Component : Water Supply, Sewerage, Roads, Storm Water Drainage including economic and social infrastructure. WSS in one town (Dharampur) is funded under SJMMSVY. For construction of total 120 nos. of Aanganwadi units in 18 tribal towns, grant of Rs. 4.80 crore (Rs. 4.00 lacs per unit) has been released and balance grant of Rs. 1.80 crore (Revised Rs.5.50 lacs per unit) has been recommended for ULBs.